Discover the Rock of Gibraltar, a strategic outpost with breathtaking views, fought over for centuries by Great Britain and Spain in order to control the Mediterranean. Having left the ship we head for the airport runways which mark the border between Spain and Great Britain. We then head up to the Rock and the caves known as "Great Siege Tunnels", a system of tunnels over 70 km long dug by the British from the Rock's limestone during the historic siege of 1779-1783. We then arrive at the first buildings built by the British in Gibraltar, now home to the "City under Siege Exhibition" about the history of Gibraltar. We'll learn about the hardships and struggles of the Rock's inhabitants during the long and relentless assaults by the Spanish forces who tried continuously, without success, to reconquer Gibraltar, a strategic point for access to the Mediterranean. 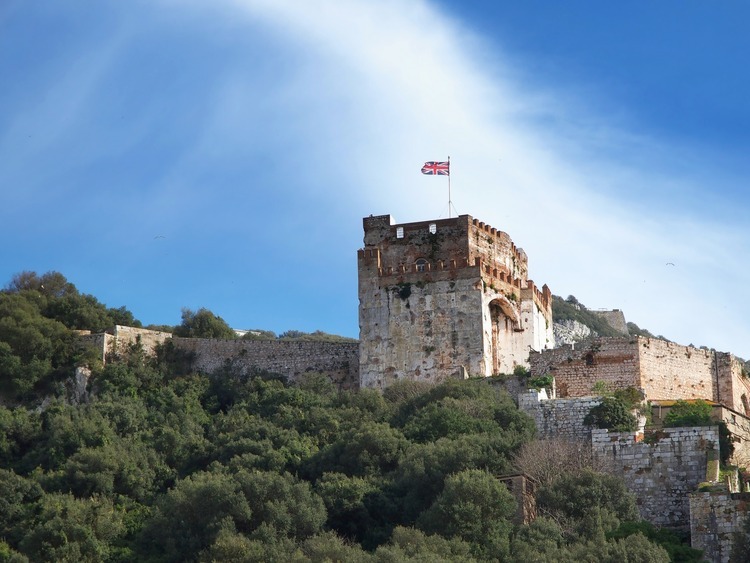 A short distance away is the medieval Moorish Castle which dates back to 1333 and is one of Gibraltar's major attractions. We then head to the cable car base station and travel to the highest point of the Rock in comfort. Here we are free to walk around and enjoy the wonderful 360° panoramic views of the city of Gibraltar to the west, the African coast to the south, the Spanish peninsula to the north and the Mediterranean to the east. Finally we travel back down by cable car to the base station, around 300 metres from the central shopping area of Main Street. A shuttle service takes us directly back to the ship.